So, in a bid to mix the traditional with the modern (one of the things I love best to do in my quilting practice), I hovered over to my quilt book library and dug out this book. Full of simple and oh-so-delightful patchwork blocks, I found the one that I wanted and adapted it for this little tutorial. Next came finding the right fabrics that would help make the unique design of the block stand out. 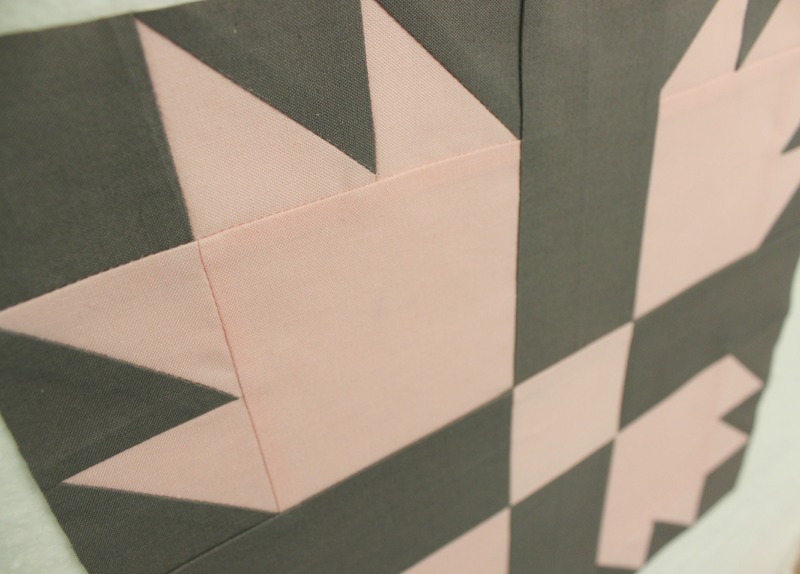 In the end, I chose to construct the block using two solids – pink and grey – both so scrumptiously modern! LOVE IT!! Trailing off on a side note: some of you might not know that this December, a brand new little baby girl will be arriving in our family! No, it’s not me – I’m not pregnant… But my brother and sister in-law are expecting their fifth child after having four glorious boys! So this means, I can finally get into my pink cutesy fabrics and make something so girly that you’ll become so clucky you’ll want to have your own little baby girl!! But anyway, I’ve casually been on the lookout for a quilt design to make for my new niece and I’m quite sure I’ve found it in this little tutorial! So what I’m trying to say, after all of that weird emotion, I’ve decided to make a baby quilt for my pending niece using the Bear Paw block. YAY! Have you made this block before? If so, let me know! And if you have a photo of the quilt, I would love to see it! In next weeks tutorial, I’ll be delving into the open possibilities of Quilt Labels! Should be a hoot! Hello! Have just discovered your blog and tutorials and Instagram and just wanted to say how much I am enjoying it! Your tutorial are so user friendly that I’ve decided to take the plunge and make a bear paw quilt! Just a quick question – how much fabric does each block require? Still new to quilting and working out the correct amounts. I’m hoping to make the quilt for my husband who loves bears so am going to use a nice grey for the background fabric together with a selection of mustard prints. This is only my second quilt so wish me luck! Hello Amanda! Thanks so much for your reply – I have a couple of questions if that’s okay?! 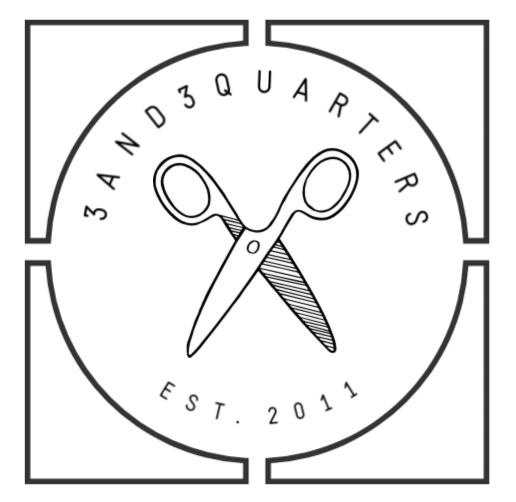 I’ve done all my cutting out and made my half square triangles, which I have just squared up to 2″ – is that okay to do so? The reason I ask is later on when we sew the 2 1/8 square on to these you mention squaring up again so do I just square them up to the dimensions of the now joined half square triangle pairs?